For today’s G.O One Shot, I am not going to go overboard like I did with the last one. However, I am going to indulge a little bit by not limiting myself to just one .gif. I am sure you won’t mind. 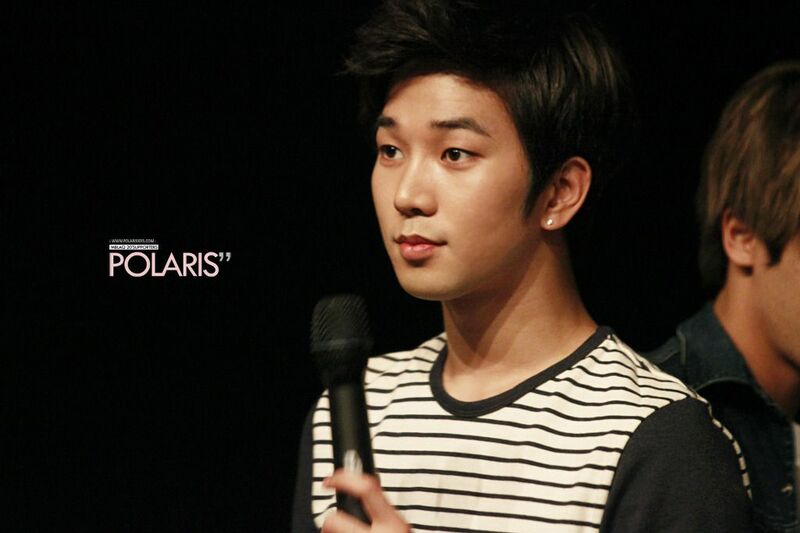 So on this 652nd day of his service, a little G.O charm from the 24 August 2012 broadcast of MBC’s All The K-Pop Show. 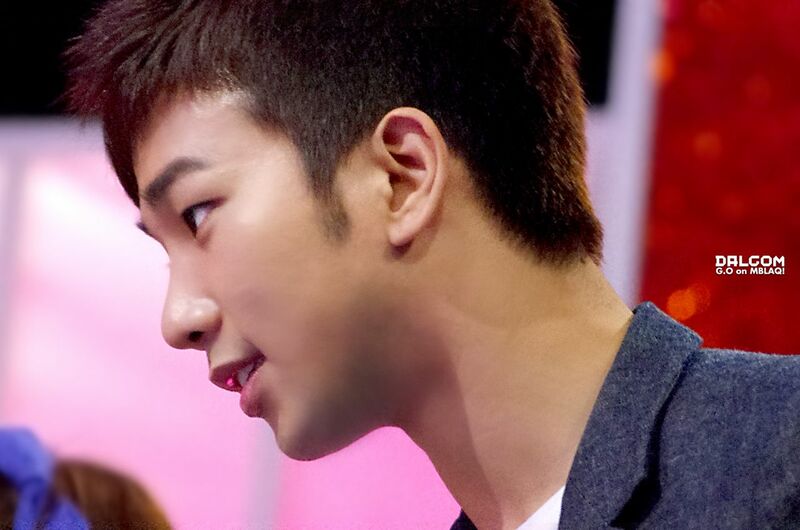 Categories: G.O Military Discharge, MBLAQ Musings, The G.O Files | Tags: All The K-Pop Show, Countdown To Discharge, G.O, G.O images, G.O on Variety, 정병희, 지오, Jung Byung Hee, Jung Byung Hee images, Korean entertainment, Korean Television, MBLAQ G.O, MBLAQ G.O images, MBLAQ G.O on Variety | Permalink. Some of you may know this about me but in the world outside of my dedicated fangirl duties, I have been for some time and currently am an executive legal secretary in a law firm. So the notion of G.O participating in a variety program that placed him in a position of novice attorney is something I could absolutely appreciate. I have been around brilliant minds and venture to say that had he pursued a career in law, G.O would probably have made a formidable attorney. Attorneys are generally very quick thinkers and are persuasive. I would say G.O has those covered.^^ I must confess however that I have never had the privilege of working along side an attorney that has had his kind of charisma. 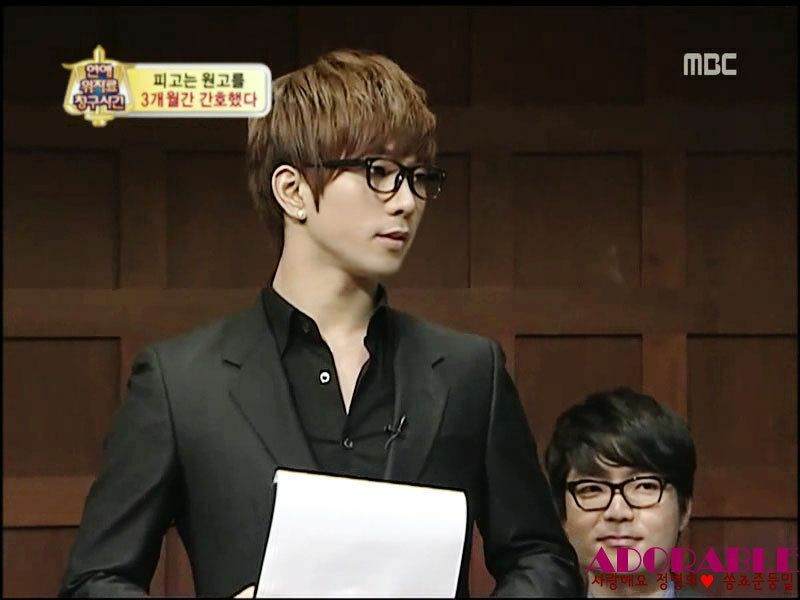 Furthermore, I have yet to see an attorney light up a courtroom with the kind of hip groove G.O gave viewers during his stint on the MBC legal variety program, 연애 위자료 청구사건 [Dating Alimony Case]. For today then, a playful moment from the courtroom which also doubles as a G.O ~ Juri moment since, well they were both on the show and briefly shared the spotlight together. Categories: G.O Military Discharge, MBLAQ Musings, The G.O Files | Tags: Brown Eyed Girls, Dating Alimony Case, G.O, G.O images, G.O on Television, G.O on Variety, 연애 위자료 청구사건, 정병희, 지오, Jung Byung Hee, Jung Byung Hee images, Korean entertainment, Korean Variety, MBLAQ G.O, MBLAQ G.O images, MBLAQ G.O on Television, MBLAQ G.O on Variety | Permalink. I know I cannot possibly be the only one of G.O’s fans who, in addition to love hearing him sing, finds his speaking voice equally charming and soothing. Lately, I have been taking a different approach to learning Korean. Instead of initially pouring over a textbook, I have decided to log hours of just listening. Remember the Sweet Music Box broadcast on SBS radio G.O did back in 2010 with Jung Go Eun? Those have been my constant listening skills teaching companion this past month. 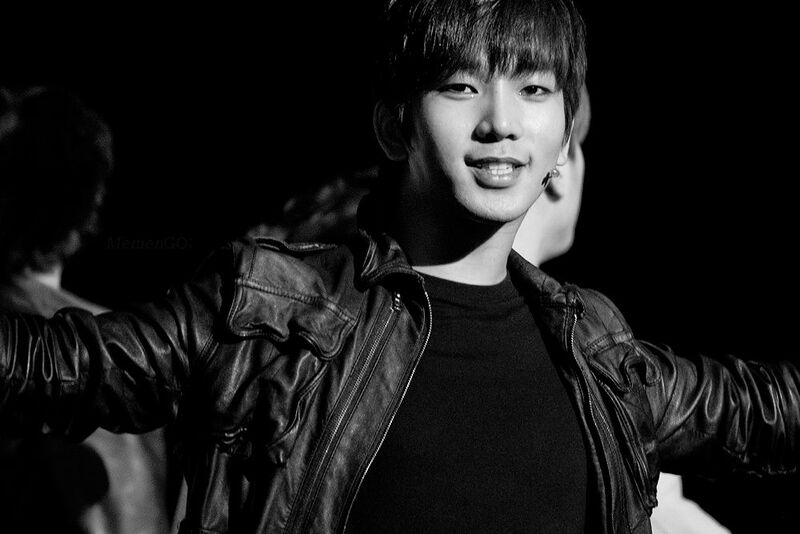 It is helping but since I really love the tone and timbre of G.O’s voice, I get easily distracted from the task at hand. Nevertheless, learning this way is actually a pleasurable experience. But what does this have to do with anything? Well, it is Fan-Camming Friday and I decided upon a cam from the 15 April 2012 Daejeon fan sign where fans were regaled with one of G.O’s cheeky discussions. Categories: G.O Military Discharge, MBLAQ Musings, The G.O Files | Tags: Countdown To Discharge, Daejeon Fan Sign, Fan-Camming Friday, G.O, G.O at Fan Signs, G.O images, 판관 포청천, 정병희, 지오, Jung Byung Hee, Jung Byung Hee images, Korean entertainment, Korean Television, MBLAQ G.O, MBLAQ G.O at Fan Signs, MBLAQ G.O images, Taiwanese Drama | Permalink. Are any of you hopeless romantics like me yet lose sight of the fact that you are? I am sure there are a few of you out there. You know, had your heartbroken a couple few times but on a good day somehow feel that love is still transcendent? Sometimes when I look back at G.O’s roles in either Pure Love or Couples Clinic, I am reminded that I am indeed a hopeless and quite often, helpless romantic. My G.O One Shot today is a little shot of some G.O romantic from Pure Love. Categories: G.O Military Discharge, MBLAQ Musings, The G.O Files | Tags: Actor G.O, G.O, G.O in Drama, G.O on Television, G.O One Shot, 정병희, 지오, Jung Byung Hee, Jung Byung Hee images, Korean Drama, Korean entertainment, Korean Television, MBLAQ G.O, MBLAQ G.O images, MBLAQ G.O in Drama, MBLAQ G.O on Television, MBLAQ G.O One Shot, Pure Love Korean Drama, Remaining Love | Permalink. Just a cute and quick cam today by way of some minor theatrics at the Idol Star Athletics event in January 2012. G.O had a co-star in the cam this time, the adorable maknae, Mir. Leave it to these two to provide a touch of the dramatic to their fan service. 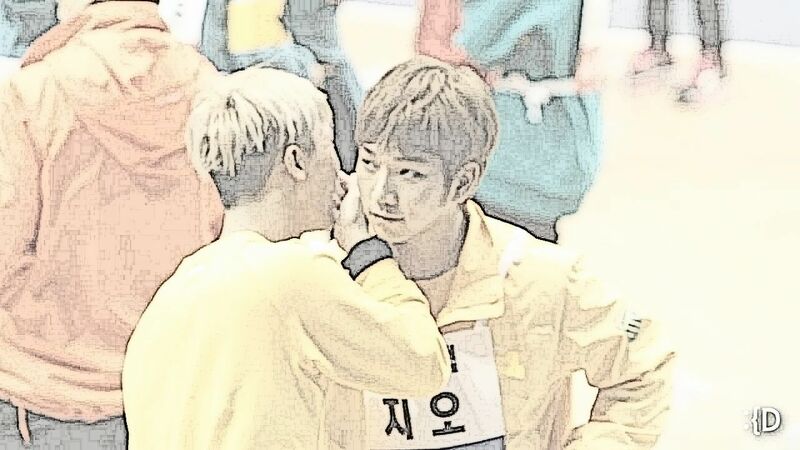 Categories: G.O Military Discharge, MBLAQ Musings, The G.O Files | Tags: Athletic G.O, Bang Cheol Yong, G.O, G.O images, G.O on Television, G.O on Variety, Idol Star Athletics, 정병희, 지오, Jung Byung Hee, Jung Byung Hee images, Korean entertainment, MBLAQ G.O, MBLAQ G.O images, MBLAQ G.O on Television, MBLAQ G.O on Variety, MBLAQ Maknae, MBLAQ Mir, MBLAQ Mir on Variety, Mir on Variety, The Wild Pair | Permalink.